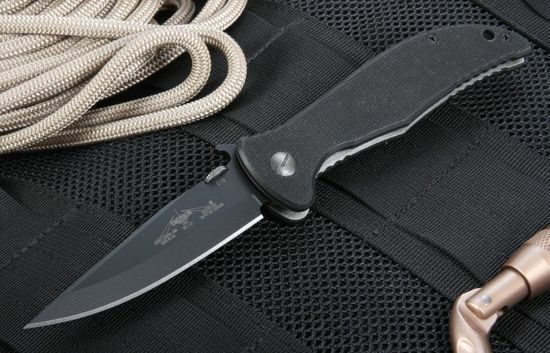 A knife that opens fast and is easy to carry and deploy is what's in store when you order the Emerson Gentleman Jim Black Blade Folding Knife from KnifeArt. 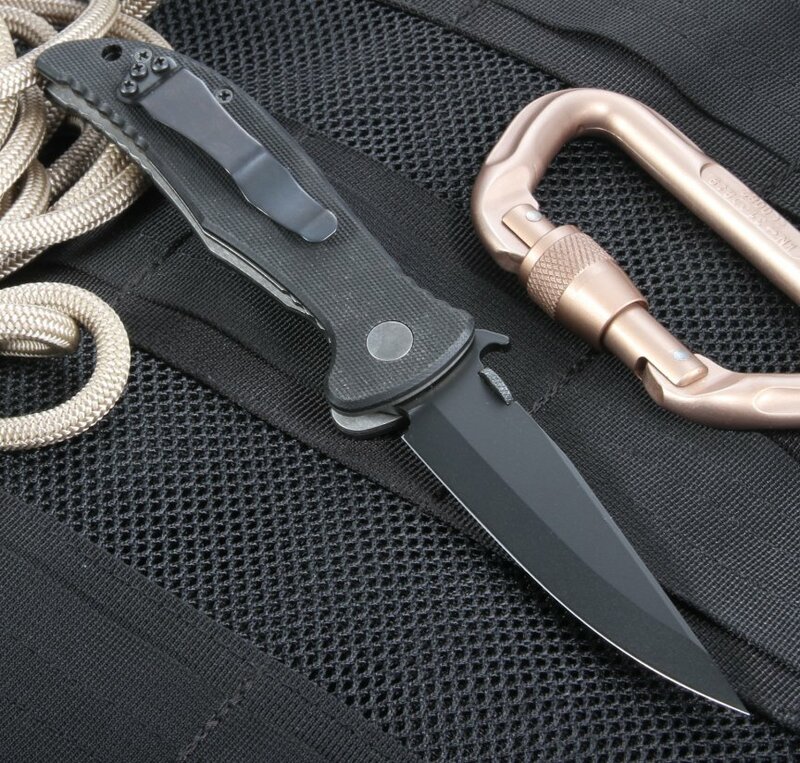 The Gentleman Jim is a proud member in standing of the Emerson Prestige Line. 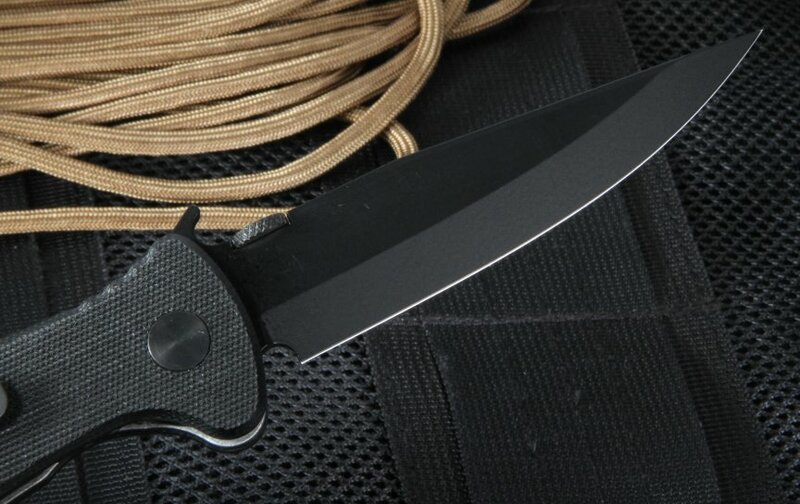 It's got a 3.75 inch blade made of black coated stainless 154 CM steel and weighs in at 4.3 ounces. 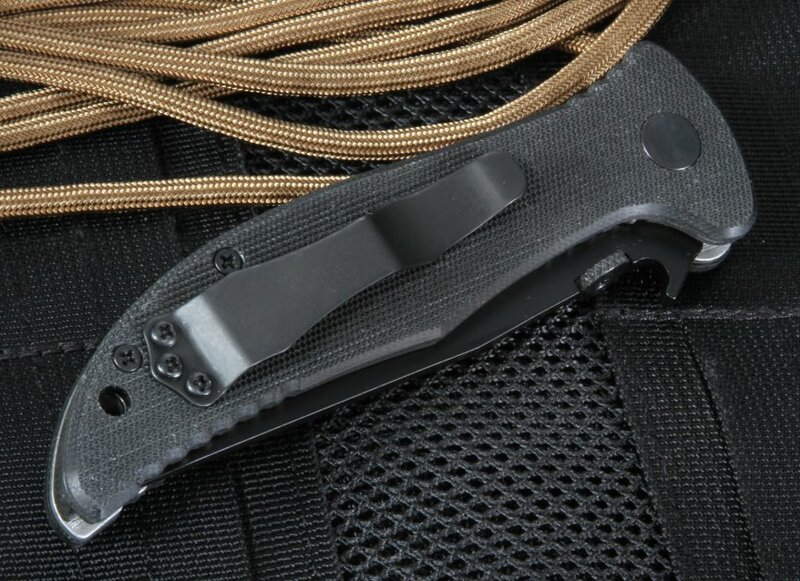 The Gentleman Jim BT has titanium liners and a textured black G-10 handle with a thumb disc mounted so it can be opened with one hand and made to be used easily with either hand. 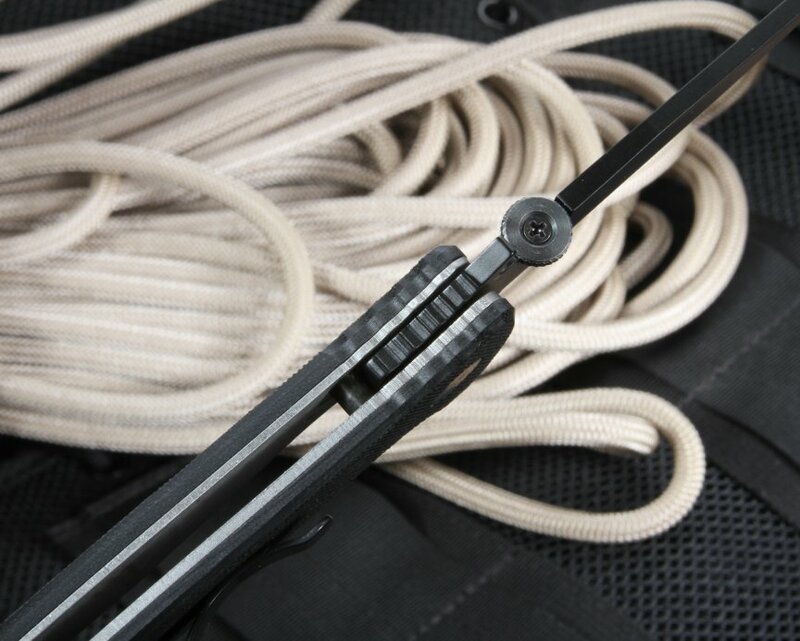 The blade spine has a filed thumb rest for a positive grip. 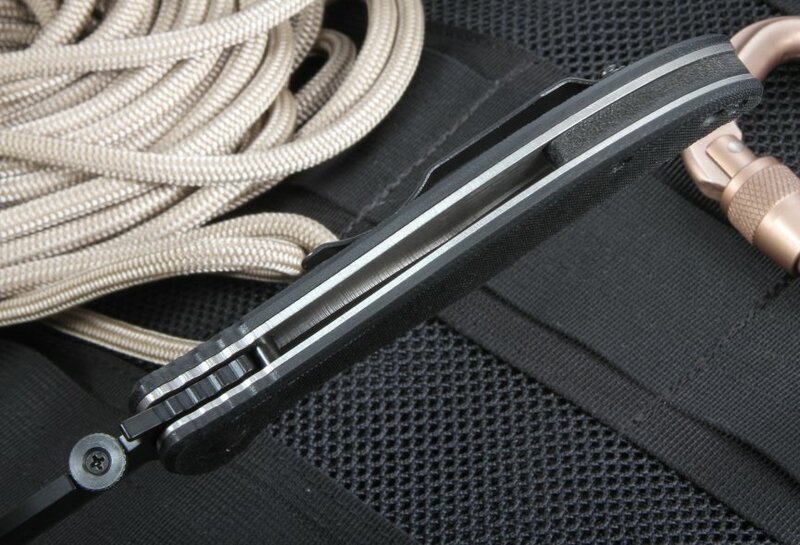 The knife is mounted with a black pocket clip mounted for convenient tip up carry. KnifeArt offers this Emerson Tactical Folding Knife with free shipping and satisfaction guaranteed. Place your order today, and KnifeArt will process your order the same day it's received.